LOVE that damn pumpkin!! that was brililant! 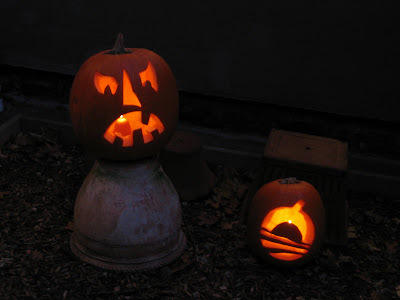 We're out of the trick-or-treat mode but loved your carvings and didn't know about the Yes We Carve site - am linking to you on that tomorrow. No pumpkin carving here; just tuition payments! I care too. Why can't Canadians vote? We've just about as much vested in the outcome.